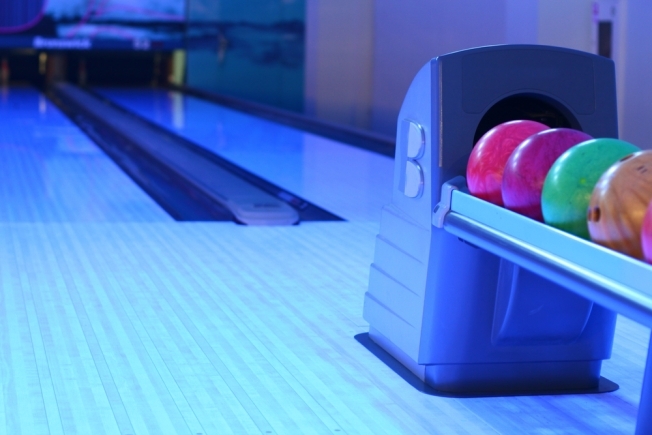 If you’ve been meaning to become more in touch with your inner child but finger painting isn’t your idea of a good time, try taking a trip to Lucky Strike Lanes, where a compromise between the adult and the kid in you can be easily reached. At Lucky Strike, you can sip on an exotic cocktail and eat from a menu created by a Hollywood catering company to the stars, all while hooting and hollering like a kid again. You may think childhood antics like these are beyond you now that you’re all grown up, but just try resisting the urge to shout “Woooo! Come on, you can do it! Ow ow!” when someone on your team takes their turn. Going to a bowling alley just to eat dinner? It’s true, the food is that good. Hollywood catering company Along Came Mary is the one that originally created the menu for the first Lucky Strike location in Hollywood in May 2003. ACM provides catering services for such events as the Grammys, the Emmys, and some of Hollywood’s biggest movie premieres. And even if you’re not in the mood for something as high class as shrimp on a stick, there are some traditional options such as chicken tenders or a plain ol’ cheeseburger to suit your fancy. So maybe you’re onboard with your inner child wanting to bowl a few games, but hesitant at the idea of drinking your Bud Lite -- in a bottle shaped like a bowling pin, no less -- amidst a bunch of real live screaming children. The option is yours since Lucky Strike remains true to its lounge image by turning into a 21 and up establishment nightly after 9pm. It does get busy after 9 p.m. however, especially on weekends, and the wait for a lane can be anywhere from one to three and a half hours. There are a variety of specialty drinks on the menu for you to try while enduring that wait, however, including one that comes in a glass rimmed with Pop Rocks, yet another way to relive your childhood while enjoying the perks of being an adult. And there’s nothing like running into a celebrity to make you feel like a kid again. When asked if there had been any celebrity sightings since their November 2005 opening, Dodson rattled off a list of all the major D.C. sports teams, noting players from all of them that had been seen at Lucky Strike. It’s not a surprise that many of the Caps and Wizards players have been spotted kicking back and enjoying a pin-shaped beer or two considering Lucky Strike’s next door location to the Verizon Center. So if you’re a sports fan, make sure to bring your camera with you, especially if the Caps or the Wizards are playing at home. If you’re finally sold on all that Lucky Strike has to offer, and your inner child is screaming “I wanna go…NOW!” think about hosting your next event there and bring all your friends along for the ride. Lucky Strike caters to parties of 25 or more for events such as bachelorette parties, birthday parties, bat mitzvahs and corporate parties. Your next office party at the bowling alley? Just think of bowling as the great equalizer. How great would it feel to nail a strike right after your know-it-all project manager gets his fifth consecutive gutter ball. And no one ever has to know you were on the neighborhood league growing up. Consider it your secret weapon. Conveniently located just off the Gallery Place/Chinatown metro station, Lucky Strike Lanes is open noon to midnight Sunday through Thursday and noon to 2 a.m. Friday and Saturday.